We are featuring some content from our friend and partner INSIDR.co. INSIDR is a friendly startup based in Paris which aims at supporting travelers in the preparation phase of their stay in Europe. With practical information, recommendations of activities and sites, INSIDR helps to make optimized travel plans, and spot the most authentic and local spots all over Europe. In addition, to help travelers when they are traveling in Europe, INSIDR provides a smartphone rental service. This service enables travelers to stay connected and get the best tips on the go! We will be sharing some of their latest tips occasionally. 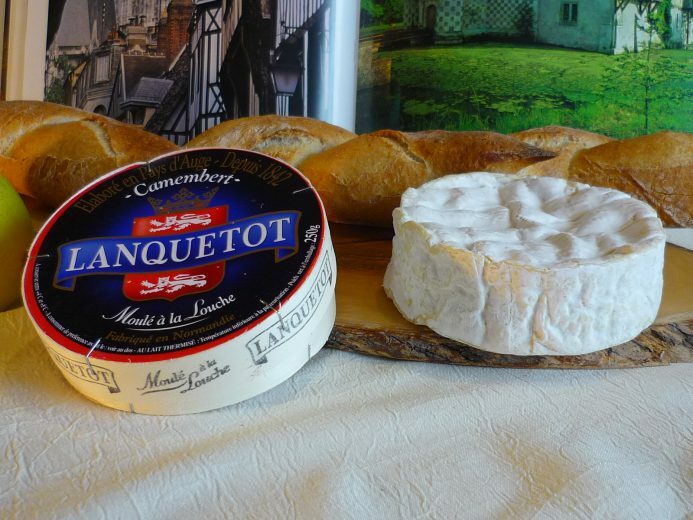 For this first article, let’s explore Normandy! Why should you explore Normandy? 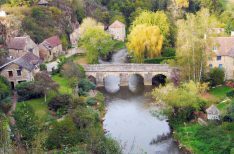 Normandy is by far one of the most beautiful regions in France. 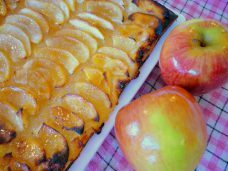 It is very easy to access if you start your French adventure in Paris by train or by car. 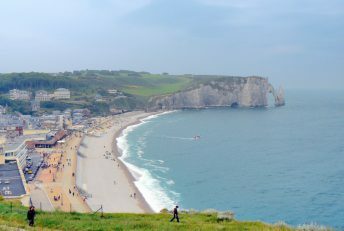 Normandy must-sees include the stunning cliffs of Etretat, the historical D-Day beaches and charming, fairy tale like harbor towns of Honfleur and Deauville. 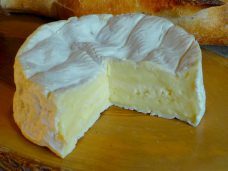 It is also the home region of delicious French specialties like Cider and Tarte Normande, a delicious apple tart, and some of the most famous French cuisine essentials like butter, cream and generous cheeses (Camembert, Pont l’Evêque, Livarot). How long is needed to explore Normandy? To make the most of a trip to Normandy, we recommend to plan on spending 2 days minimum, 3 days being the ideal length to fully explore the coastal sites and the land. 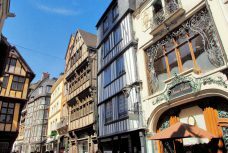 Rouen that we already covered must-be on your itinerary and Bayeux too. 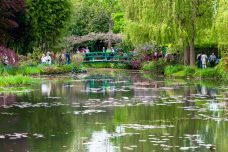 For an extended exploration of Normandy, you could follow the path of French Impressionism artists, stop at Giverny to visit Monet’s house and the Impressionism museum. 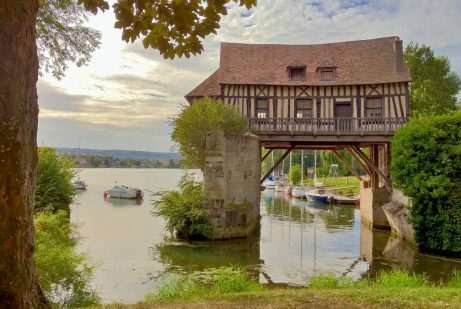 And then drive along the Seine river heading North, with a stop in Rouen and then Le Havre, that we love and have recommended already. 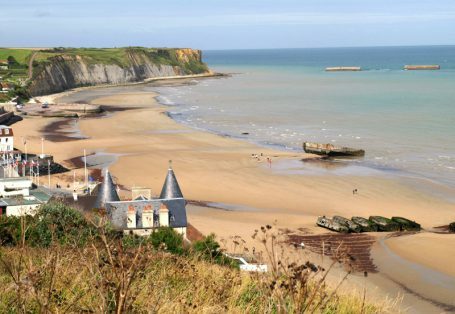 If the historical angle is more your thing, you should plan for at least 2 days to visit the historic D-Day beaches. 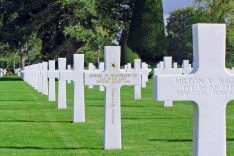 The must-see sites for D-DAY in Normandy are: the Memorial de Caen, the D-DAY beaches (Omaha beach, Utah beach, Junoh beach), and the American cemetery. 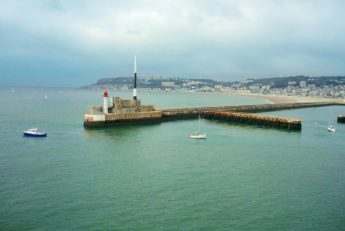 How to travel to Normandy? Normandy is easy to reach by train from Paris to Rouen it takes about an hour. All the trains to Normandy depart from Gare Saint Lazare. You can also get to Normandy easily by car. Renting a car and driving in France is quite simple. Last option is to take a tour to Normandy. There are many companies organizing day-trips to the D-day beaches. And France doesn’t lack of option when it come to bus, share rides or shuttles. You should not miss spending a day in Mont Saint Michel, which is an impressive Unesco site and one of the most visited place in France. Being extremely touristy, planning ahead is critical! If you liked the feel of the coastal cities of Normandy, you should plan to go to Brittany. To master the perfect road trip in Brittany, start in Saint Malo and along the Armor coast. Eating oysters in Cancale and exploring the beautiful medieval town of Dinan should be on you list as well! Previous ArticleWhy you should climb the Aiguille Rouge in Les Arcs! 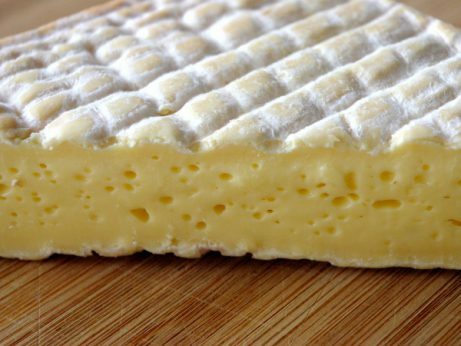 Every now and then at French Moments we work with carefully selected bloggers or companies to provide quality guest posts that we think will interest you and add value to our site.